Show Me The Movies: Why the Horror film is set for another bumper year! 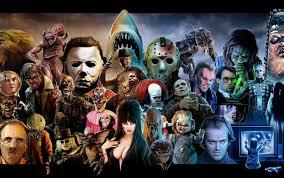 Why the Horror film is set for another bumper year! The horror genre was always one that, like comedy, tended to be greeted by film snobbery referencing the cheap tricks of tension filled scares as it's main source of entertainment. Usually following a list of rules that would make no sense in the "real world" - i.e don't enter a haunted house alone, never go looking for the killer etc the horror film was one that tended to get a bad rap critically as it was seen as low brow entertainment, attacking the senses in the most obvious way possible. The evolution of horror genre however with existential dread replacing jump-scares has seen a reemergence of the horror film with 2017 being a highly successful year commercially as well as critically with Get Out becoming the first horror Academy Award nominee for Best Picture since Black Swan in 2010. Not only do we now have the "freak out" moments within the horror genre but we also have this long lasting feeling of unease that stays with it's viewer throughout and has a much more long lasting effect. Driven by a list of auteur film makers, these horror films have us not only covering our eyes and ears but also tap into longer reaching emotional issues and leaving it's viewer with that sense of dread, shock and edginess that only a good horror film can. With the release of A Quiet Place, Annihilation, Hereditary and Ghost Stories coming our way in 2018 the horror genre is at it's strongest shape in years at it appears that as cinema goers we are not quite ready to get comfy in our seats just yet. Husband and wife pairing John Krasinksi and Emil Blunt both star (with Krasinski making his directorial debut in this modern horror thriller feature where a family of four must navigate their lives in silence after mysterious creatures that hunt by sound threaten their survival. If they hear you, they hunt you! Yikes! Chilling and highly original horror film from Jordan Peele that would correctly be the "movie of the year" choice of a lot of the cinema going public. This is a film that will haunt you for days after viewing! Read my full review here. Post apocalyptic and minimalistic horror film that shows that you can stir up as much fear with the unseen that with anything that may appear on the screen. Anchored by a solid performance by Joel Edgerton this one is sure to unsettle! Slow building and thought provoking horror written and directed by Robert Eggers is one that has become a highly praised piece of work and one that will haunt it;s viewer thoughout and after the 92 minute running time! Tension filled home invasion horror written and directed by Fede Alvarez and starring Stephen Lang and Jane Levy that is smart, chilling and stylish with Alvarez's unique take on a tired premise the perfect tonic for those who like a good scare!